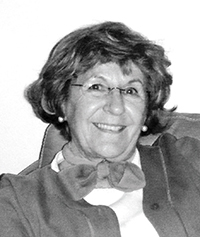 Growing up in rural Bavaria, Gerlinde didn’t know about Hitler’s regime in the way Americans learn about it in school. All she knew was the beauty and tragedy of daily life on the farm where she lived with her brother and sister, her mother, and her stepfather—she never knew her father, who was killed in the Siege of Leningrad. Experience country life in Germany in the 1940s and 1950s, through the eyes of an observant, imaginative child who watched as defeated German soldiers and their families tried to reinvent their lives after the war. From elaborate childhood games to the sobering reality of exhausting daily work, from the love and care of friends and neighbors to the heartbreak of a traumatized family, this compelling memoir is a testimony to the courage and grit of a girl who eventually came to America, fulfilling her own great-grandmother’s dream. Gerlinde Pyron arrived in Texas in 1960 at the age of seventeen, an unwilling immigrant, a farm girl with minimal formal schooling, who spoke only German. In less than two years, she mastered enough English to do office work. Later, night time college courses in computer design led to jobs in banking, manufacturing and in the oil industry. Early retirement offered the opportunity for community service, painting, writing, gardening, and enjoying grandchildren. 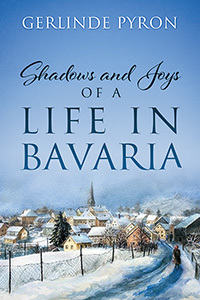 But most of all, she has appreciated traveling with her husband, living out her childhood dream of visiting far-off lands…and frequently returning to her home in Bavaria.